You have worked hard to get your amateur radio licence, and have progressed through to being an Intermediate Licence holder. Maybe you are ready now to take on the UK’s ultimate amateur radio qualification: the Advanced Radio Communications exam leading to the issuing of a Full Licence. A lot of privileges and responsibilities come with a Full Licence, not least from the fact that you will be able to transmit at up to 400 watts of power. You will also receive with your Full Licence the ability to legally transmit from almost every country in the world. We are not going to pretend that getting a Full Licence will be easy. A complex technical exam has to be passed that requires considerable study for success. So you must be prepared to invest a good amount of time and effort in your studies. When studying for the Advanced Radio Communications exam there is no requirement to take a formal training course, this is because the examination is entirely theory based, with no practical training element. It is possible to study at home on your own or at a local amateur radio club or at a college; many run courses specifically for the Advanced Radio Communications examination. To contact Meirion ARS about taking your Full Licence click HERE. There are also distance learning courses available of programmed study, tutor marked assignments and YouTube videos. Assessment is by a written examination paper of 62 multiple choice questions each with four possible responses. The examination lasts two hours and it becomes available every two months. For the Advanced Radio Communications exam there is a fee of £37.50. You must have passed the Intermediate exam before taking the Advanced. Unlike the Foundation and Intermediate, the Advanced exam papers are not locally marked but sent to RSGB headquarters for electronic marking. Results will be issued six days after receipt, and also sent to Ofcom. Your certificate will be issued a few days later. You may apply for your Full Licence on the Ofcom website free of charge. Visit the Ofcom website to find out more. Ofcom will then issue you with your new, upgraded radio licence and you can get started immediately on the Full Licence frequency allocations at up to 400 watts power. 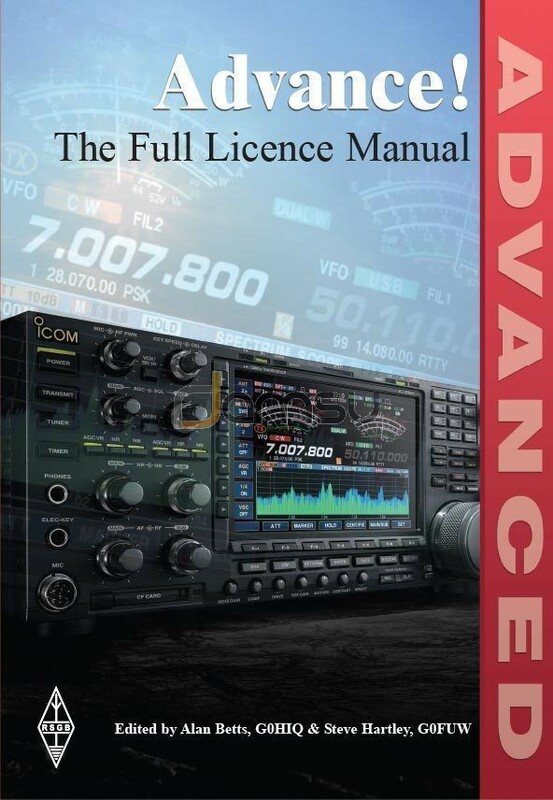 For almost all radio amateurs receiving a Full Licence is a very proud moment, indicating as it does that their skills and knowledge of amateur radio have been tested to the highest level possible in the UK. A whole new world awaits of global operating, contesting and expeditions.